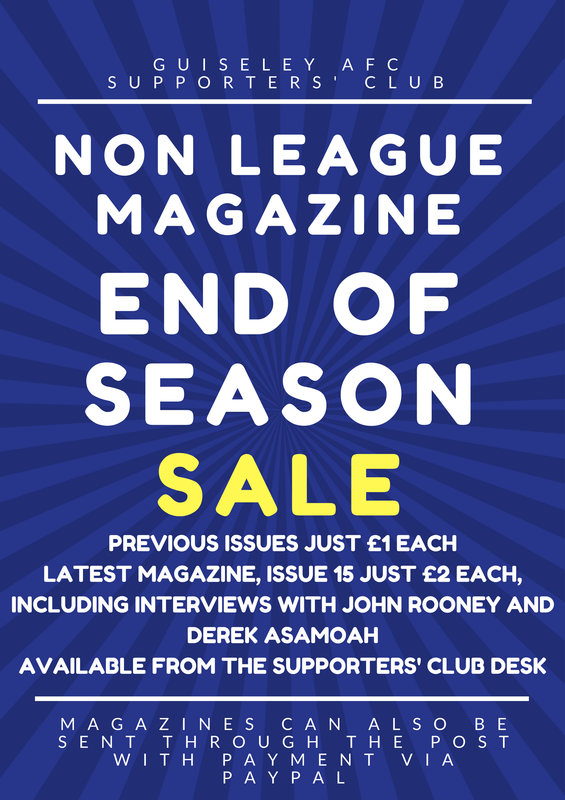 Our Non League Magazine sale is back with a bang! Previous issues are priced at just £1 each! Issue 15 which is hot off the press is just £2 each and includes interviews with John Rooney and Derek Asamoah! The Non League Magazine retails at £3 each. Head to the Supporters Club desk in the clubhouse to purchase the magazine. Not able to make it to Nethermoor? Send us an email to info@guiseleyafcsupportersclub.com to discuss payment and postage.